This page is mainly about the "good old days" (my time as a student at XMU, 1985-86) and about a reunion I had in 2005. Above, you see the Xiamen University campus in 1986 and in 2002, as seen from the mountain behind campus. In 2012, I taught at the Zhangzhou campus, which was on the other side of the hill across the water (in the photo on the right; that campus is now home to Tan Kah Kee University). 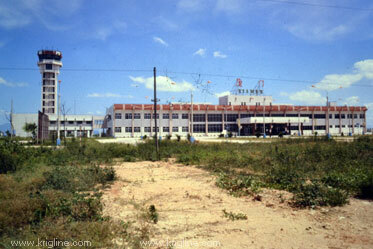 I've also got some 1980s photos below, and on my Xiamen page. This 1987 photo presents the teachers, administrators, classmates and friends Michael knew at Xiamen University (1985-87). 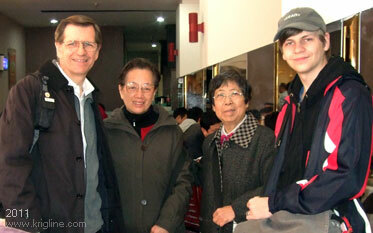 The next picture shows a closer view of Mr. Chen (our administrator), Michael and teacher Mrs. Xu. 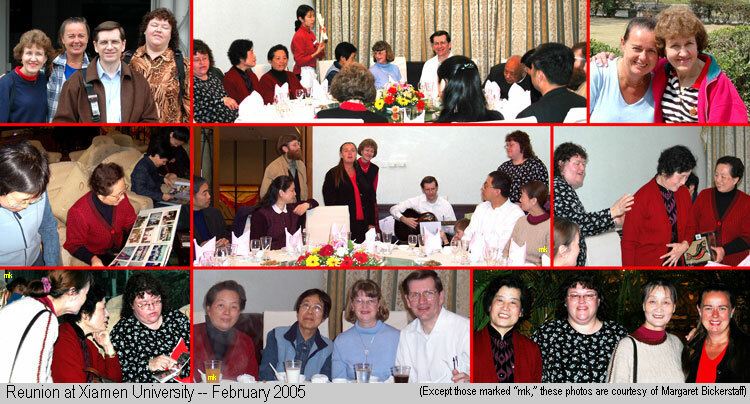 Four classmates went back to Xiamen for a reunion in 2005: (from the right) Barb flew in from Beijing; Margaret flew from New Zealand; Vivian came with me from Xi'an; and Shannon flew from Canada (her husband Gideon is on the far left). We received a warm welcome by a senior representative of our old department (next to Gideon), as well as by Mr. Chen and Mrs. Xu (see above). One of the highlights of our reunion was a banquet on our last evening together. Several of our former Chinese teachers and administrators were among the 19 in attendance! The left-hand photo was taken in 2005 as we toured campus; Michael is standing with Mr. Chen in front of our old community refrigerator, which is still in use at the college! (right) Vivian, Andrew and Michael enjoy a spring-like day on Gulangyu island; you can see the university's tallest building in the background. Here are a few photos from the reunion. 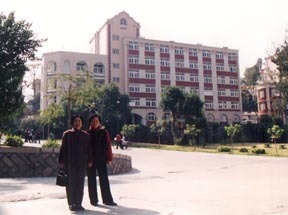 First, the four of us were standing in front of our old dorm building (Nan Guang 4, pictured below). At the banquet, many people showed great interest in all of the photo albums being passed around. 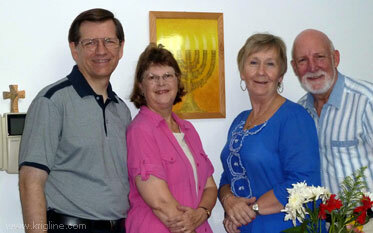 The group also sang and presented gifts to our former teachers and administrators. 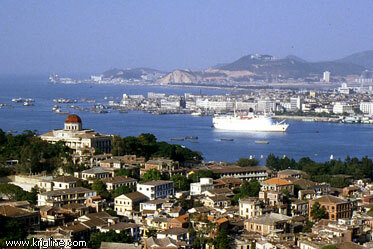 Below, I've posted more photos of the Xiamen area, taken sometime in 1985 or 1986. 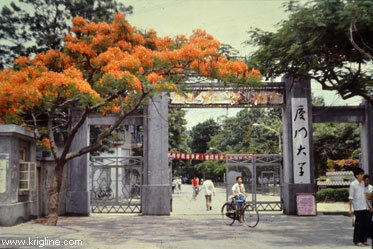 This was the university's main gate in 1985 (next to the Nanputuo temple). Today, the gates have guards and tourists all-but flood the campus at times, but with almost no tourists back then, guards were not needed. 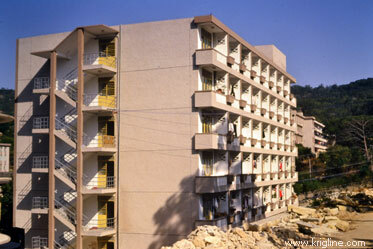 My dorm (Nanguang 4) was built during 1985. We were among the first to move in (my classmates and I lived on the top two floors). You can see (below) that this building has changed a lot, though a 2005 look at the interior reveal fewer changes. We saw "junks" (sail powered fishing boats) every day. 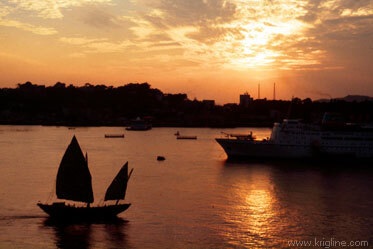 I love this 1980s sunset photo, showing both a junk and the floating hotel that was anchored near the Lu-jiang hotel. That's Gulangyu (islet) in the background. 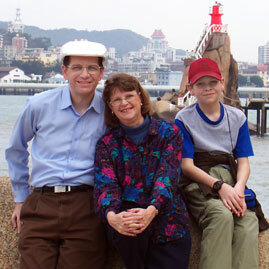 We normally traveled between Hong Kong and Xiamen by overnight cruise ship. 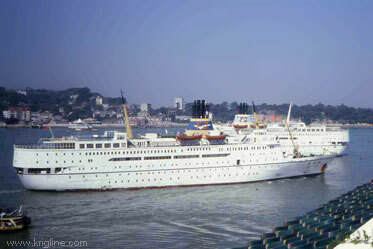 This 1986 photo, taken from atop the Lu-jiang Hotel (which is still a popular luxury hotel), shows a cruise ship in front of Gulangyu islet and the "hotel ship" (see right). Looking at Xiamen in the 1980s from Sunlight Rock (Gulangyu), you'll notice that there is no "Hai-cang Bridge" and no tall buildings. The ship (mentioned on the left) sitting in the channel was actually a hotel and disco (though I'd heard that it was too expensive for "poor students like me" so I never went over there!). These two photos are from our February 2002 visit. 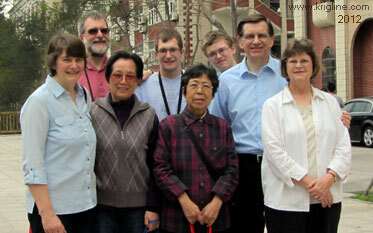 Next to Vivian are Mrs. Gao and Mrs. Xu, and Mrs. Yao is in the other photo with Michael and Andrew. These wonderful ladies taught Michael to speak Mandarin from 1985-87! Boy, did they have patience! Yao Laoshi came out of retirement to teach us, and was the only one of these three who spoke any English. 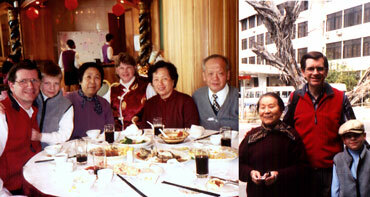 I'm glad we got to see Mrs. Yao in 2002, for she passed away the following year (at age 83). Her coworkers told us that her final days were spent singing hymns and telling people about Jesus. I get to see Xu and/or Gao Laoshi from time to time, now that we live in Xiamen again. Teachers Gao and Xu greet Andrew on his return to Xiamen in 2011--during his first Christmas Break at the University of Akron.  Christine is standing next to Xu Laoshi in the above 1987 photo. Now she and her husband Allen work in Tianjin (this was during a quick visit to Xiamen in 2012). Bridget and Don are also in the 1987 photo (look for Xu, Christine, Shannon, Bridget; and Don is above his wife). 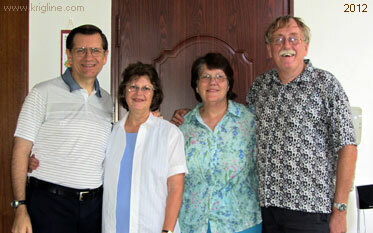 They returned to England many years ago, but got the chance to show their boys around China in 2012. In the 1987 photo, Julian (Michael's roommate at the time) is in the upper left corner. Monica is wearing a white sweater, toward the right-center of the middle row (above Peter Anderson). We've seen them often since 2000; this time in Hangzhou, summer 2012. If you studied Chinese at Xiamen University in the 1980's, please write to me.